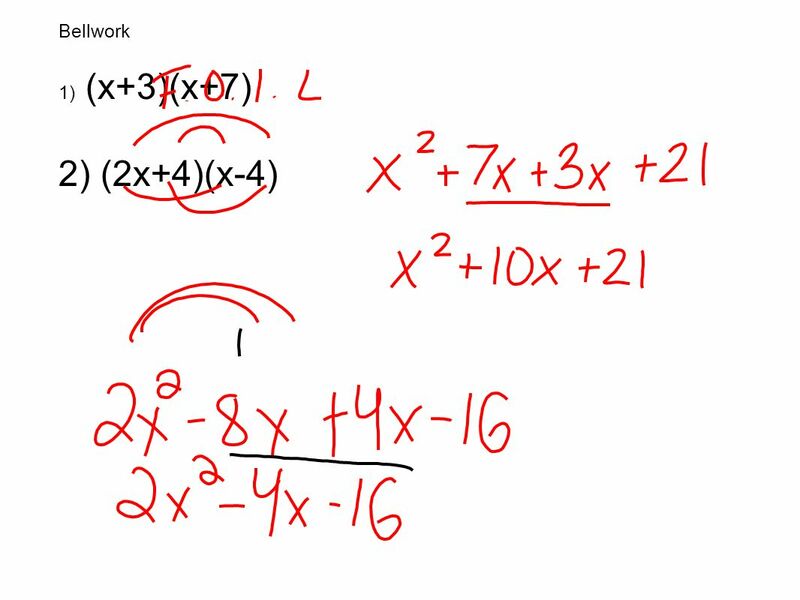 Bellwork 1) (x+3)(x+7) 2) (2x+4)(x-4). 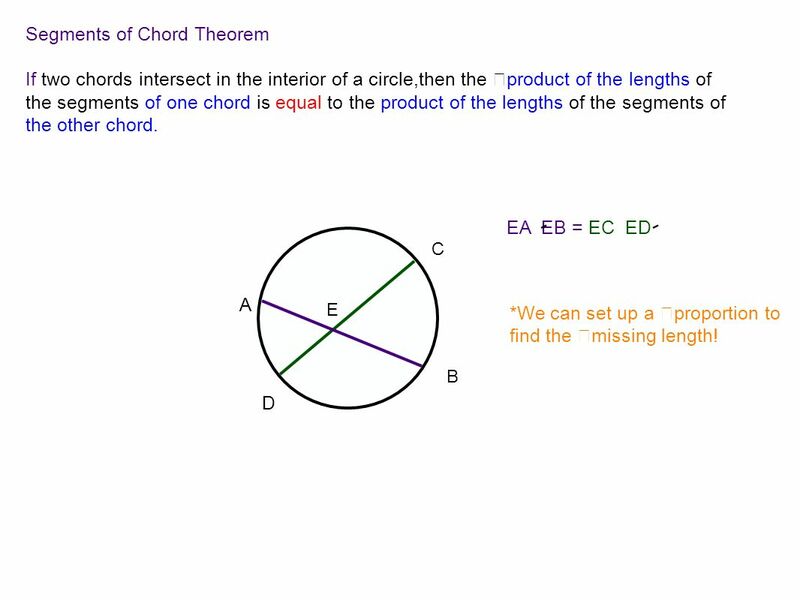 If two chords intersect in the interior of a circle,then the product of the lengths of the segments of one chord is equal to the product of the lengths of the segments of the other chord. 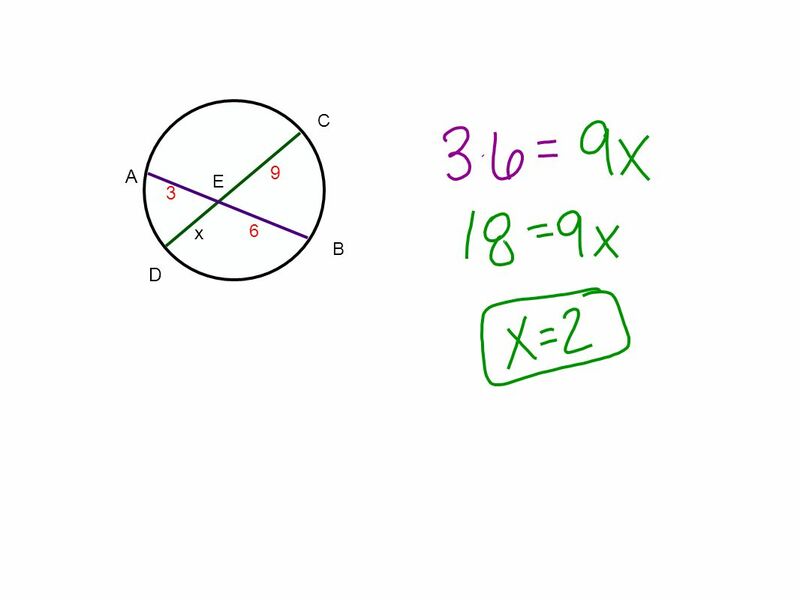 EA EB = EC ED D A C B E *We can set up a proportion to find the missing length! 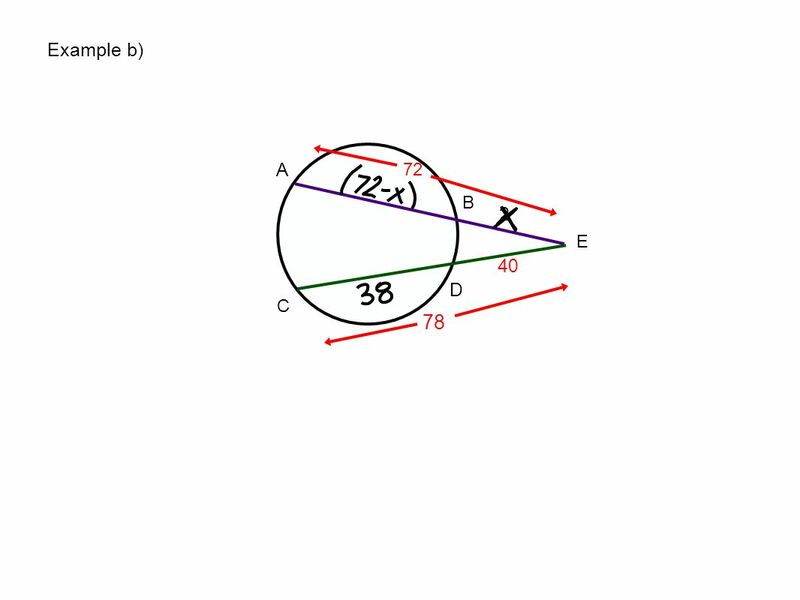 Download ppt "Bellwork 1) (x+3)(x+7) 2) (2x+4)(x-4)." 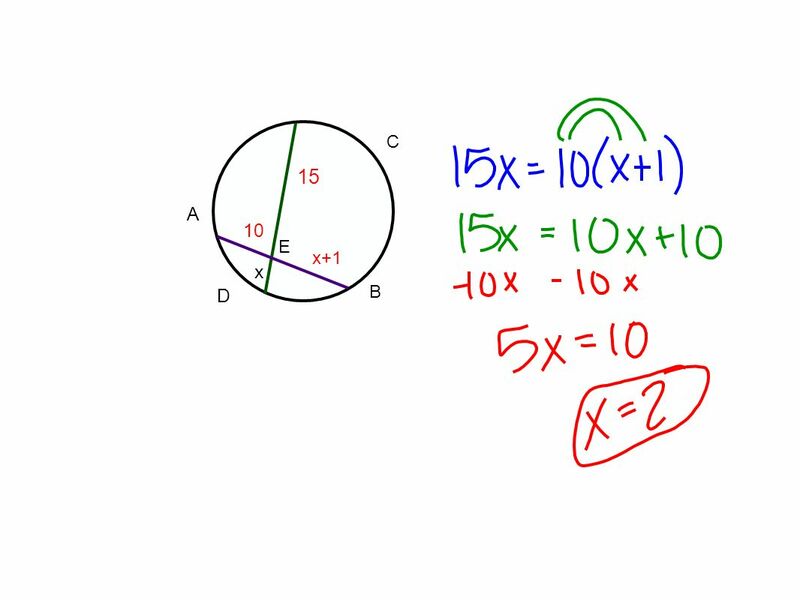 Ch 10 Question: What special properties are found with the parts of a circle? 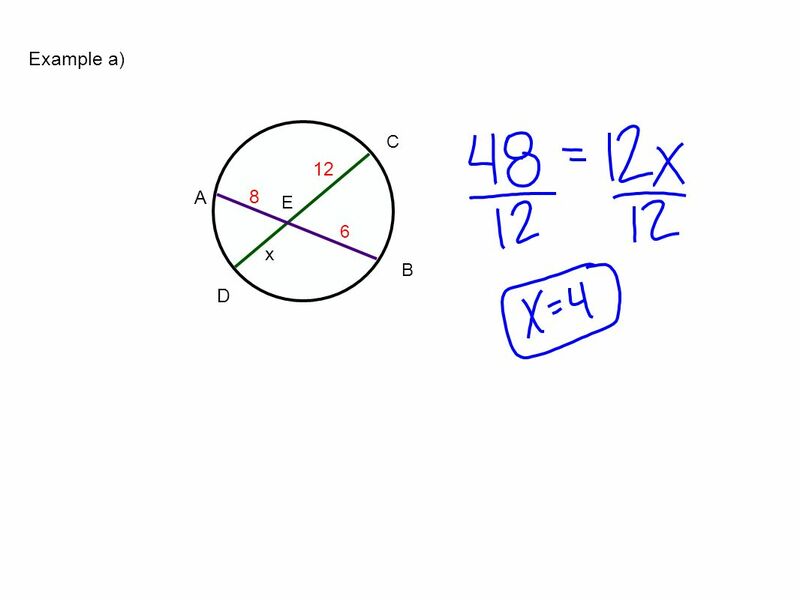 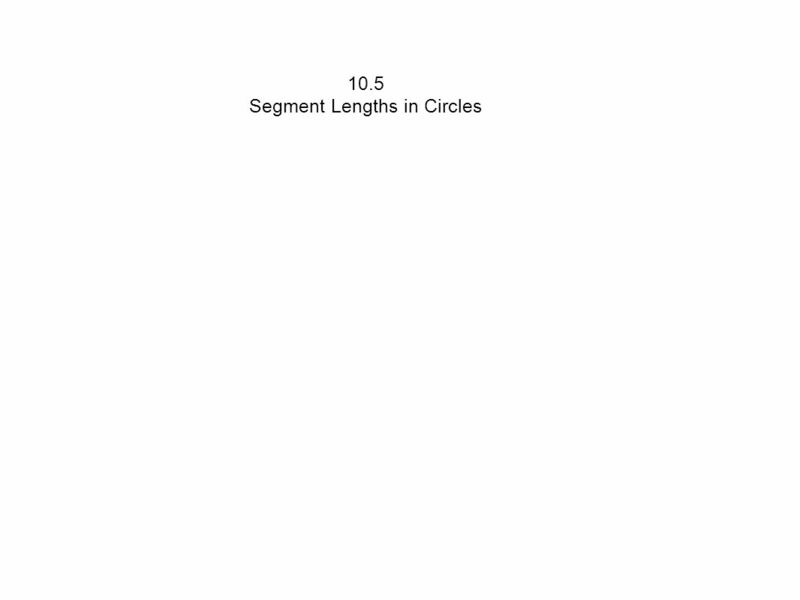 Todays Question: How do we find segment lengths in circles? 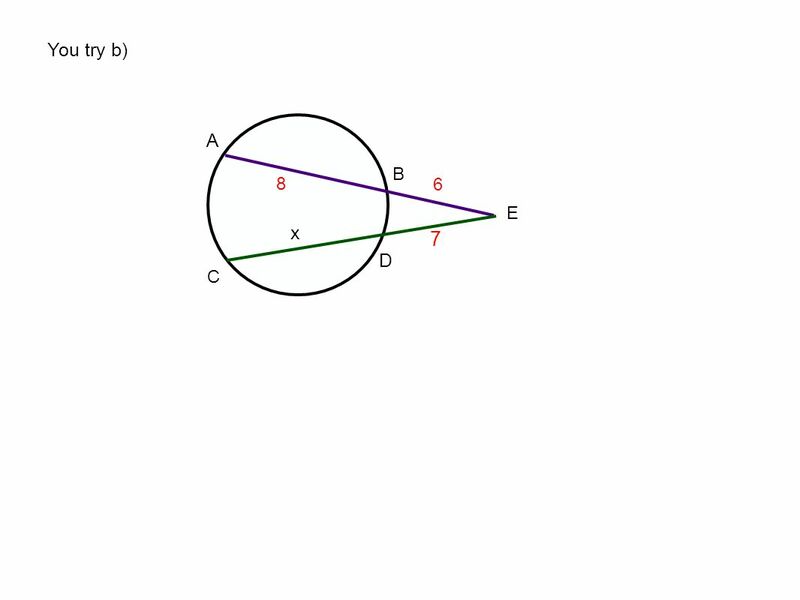 Unit 12 Day 6. 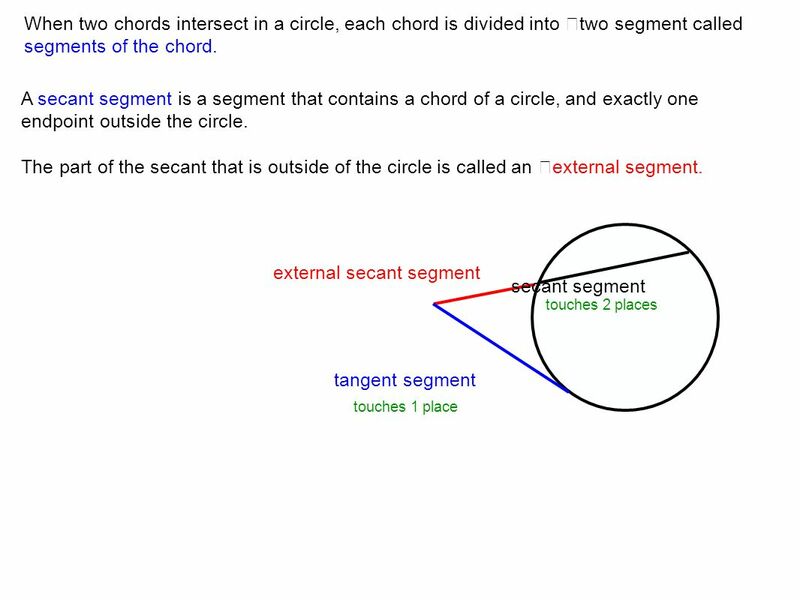 Exam Warm Up Find x x Angles, Chord and Secants Part 1 - Angles Part 1 - Angles. 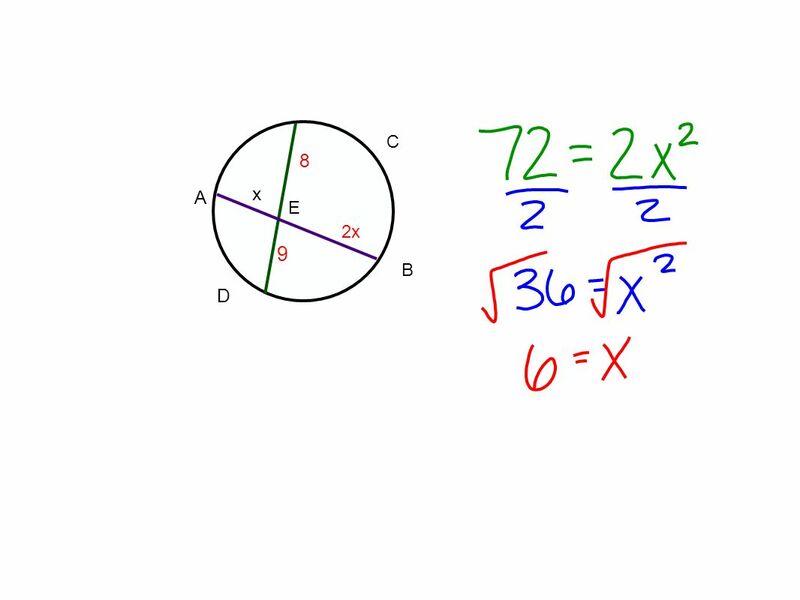 Definitions A circle is the set of all points in a plane that are equidistant from a given point called the center of the circle. 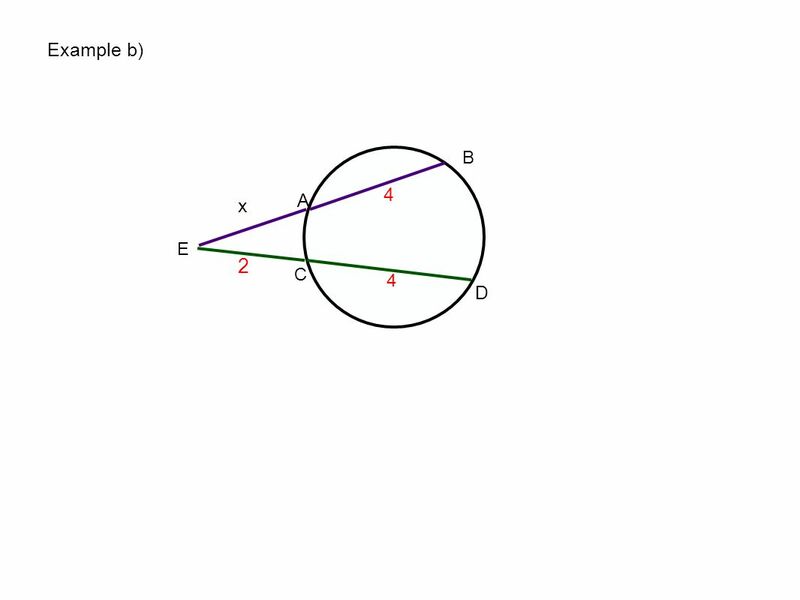 Radius – the distance. 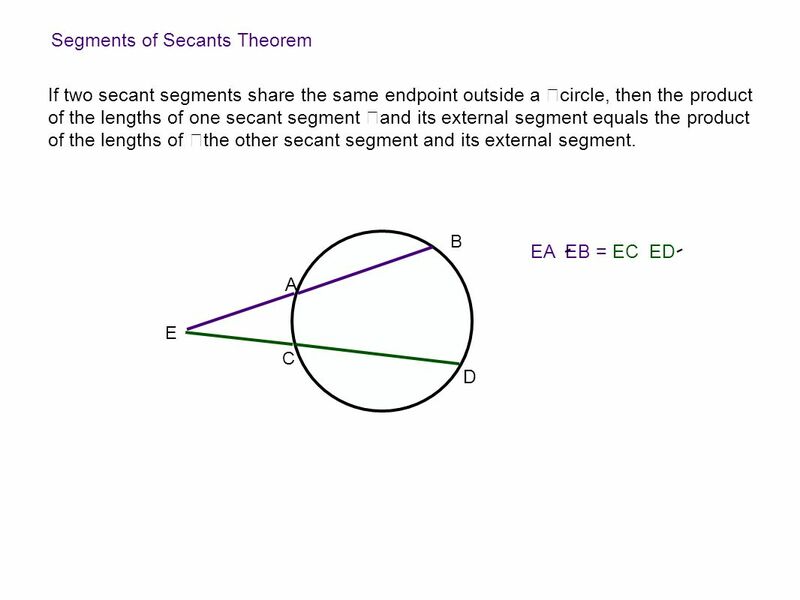 Geometry Honors Section 9.5 Segments of Tangents, Secants and Chords. 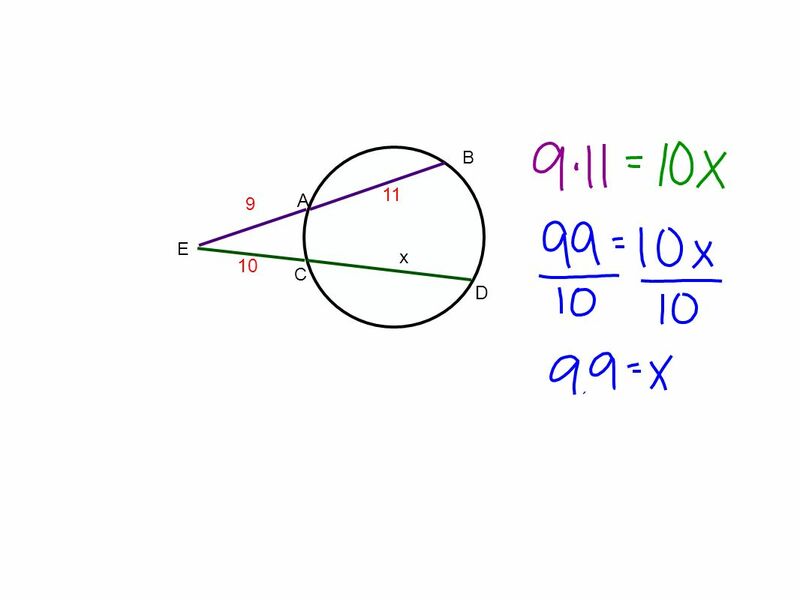 Section 10 – 1 Use Properties of Tangents. 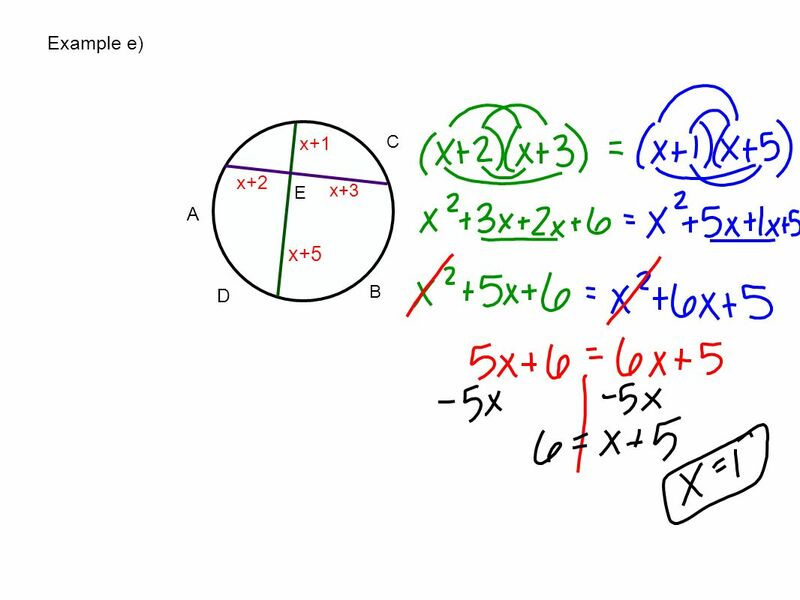 Vocabulary Circle – A set of all points that are equidistant from a given point called the center of the circle.